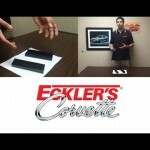 Today Tom shows a critical part to make sure your 1997-2015 Corvette stays safe whenever you’re doing maintenance! 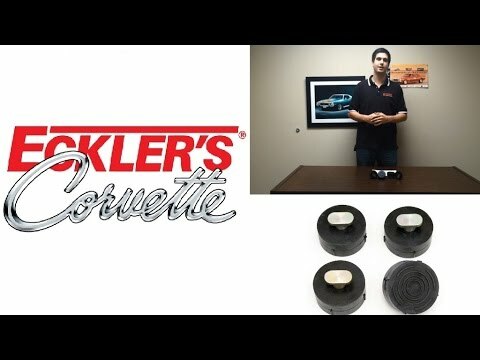 Rocker panels are frequently broken on Corvettes for one simple reason: repair shops and at home enthusiasts jack up their C5, C6, and C7 Corvettes under the frame without the aid of jack lifting pucks. 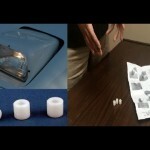 Consequently they crack the rocker panels and the panels are left to flop in the breeze. Replacement and painting of the panels can easily run over $200, however, by using our Corvette Jack Lifting Pucks you can eliminate this possibility all together. Simply carry the pucks with you in the car and give them to the shop or use them before working on your car. The pucks were intended to be used on C5, C6, and C7 Corvettes and simply twist into position with a ¼ turn into your frame, it’s as simple as that. 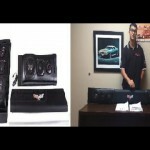 So be sure and get a set of Jack Lifting Pucks for your Corvette. 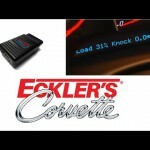 Trust Eckler’s Corvette for all your 1997, 1998, 1999, 2000, 2001, 2002, 2003, 2004, 2005, 2006, 2007, 2008, 2009, 2010, 2011, 2012, 2013, 2014, and 2015 C5, C6, & C7 Corvette restoration, performance, and accessory needs. Did you know? Many people in our hobby refer to jack lifting pads as jack lifting pucks. safe whenever you’re doing maintenance!